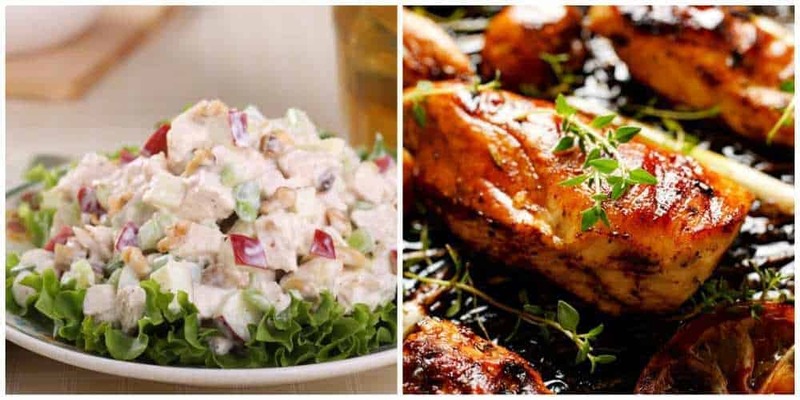 This will be the method of choice if you are preparing BSCB for chicken salad or other recipes where you want perfectly prepared, tender and moist, pure white chicken. Place chicken breasts in a wide shallow pan, which has a lid, and add enough chicken broth (or a combination of chicken broth and water) to completely cover the chicken by an inch or so. Over medium heat, without covering the pan, bring the liquid in the pan just to the simmer. With a large spoon, move the chicken breasts around a bit to be sure each piece is completely surrounded by liquid. When the liquid just begins to boil, cover the pan, and immediately turn off the heat. Allow the covered pan to stand undisturbed for 45 minutes. Do. Not. Peek. The chicken is now fully cooked and moist throughout. 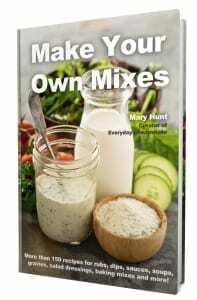 It may be used immediately or stored tightly sealed in the refrigerator for about 3 days and used in any recipe—shredded, cut in chunks, or any way you desire. This method of cooking BSCB will result in beautifully cooked, flavorful meat that is lightly golden in color. Pound the chicken breasts to an even thickness. You do not want them to be too thin, simply uniform in thickness. Mix 1 teaspoon salt and 1/2 teaspoon ground black pepper with 1/2 cup all-purpose flour. Quickly dredge the chicken breasts in the flour, so that they are just lightly dusted with flour. Heat a sauté pan that has a lid over Medium-High heat. When it is quite hot, add 3 tablespoons olive oil and 2 teaspoons butter. Once melted, swirl the pan to coat the bottom evenly. Reduce heat to Medium. Add the chicken breasts. Cook for just about 1 minute to help them get a little golden on one side—not long enough to actually sear or sauté, only to heat them. Carefully turn over each chicken breast. Reduce heat to Low. Apply the lid. Set a timer for 10 minutes and walk away. Do not lift the lid; do not peek. After 10 minutes, turn off the heat. Still, do not peek! Reset the timer for 10 minutes and leave the chicken breasts in the pan. Again, do not lift the lid and I repeat, do not peek. When the second 10 minutes are up, take the lid off and behold the wonder: Soft, tender, juicy chicken breasts that are not dried out. Check to make sure there is no pink in the middle, especially if the breasts are thick. 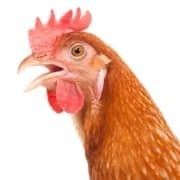 If you want to be absolutely sure your chicken is cooked well, use an instant-read thermometer to check (the chicken should be at least 165°F). Slice, serve and enjoy! The most perfect way I know to serve sauteéd chicken breasts is with Garlic Honey Sauce. Place ingredients in a small saucepan. Stir well to combine then set over Low heat and bring to simmer. Continue to simmer for 1 to 2 minutes, until sauce begins to thicken. Once chicken breasts are done and you can peek, carefully pour enough sauce over the BSCB to coat them well. Turn to coat the other side in sauce. Plate chicken. If desired, drizzle sauce over chicken. Serve immediately.